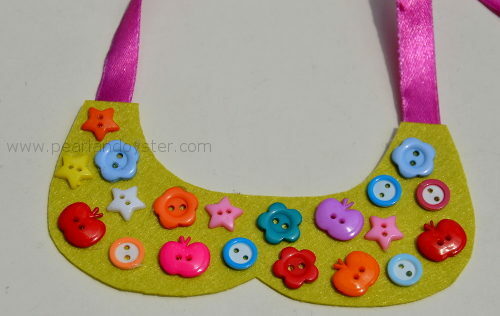 ‘Bib Necklace’? What’s that, exclaimed Rajaram! I then had to explain to him that it’s nothing but a necklace which is huge like a bib and usually worn with a low neck evening gown. 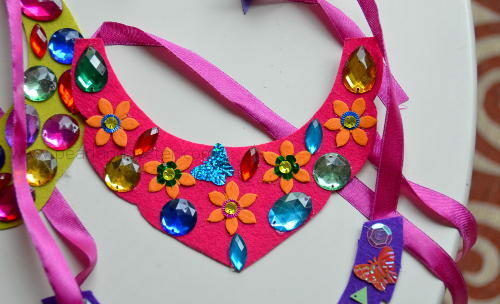 There is more to a bib necklace than it just being an accessory. 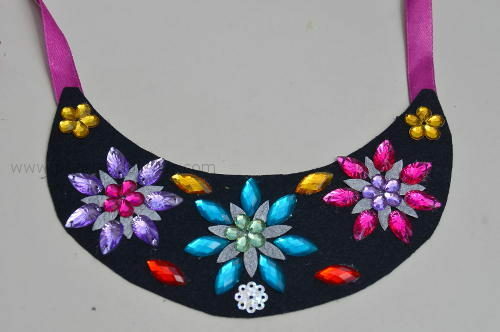 Bib necklaces have been prevalent right from the period of Cleopatra to Victoria to Alexandra to Elizabeth ..and finally have found their way to my princesses:) It’s also interesting to note that the intricate design and the vibrant colours of the beaded bib necklaces worn by the Maasai tribe in Kenya not only add to their beauty but also make a statement about the person wearing it. I never thought that a colour in our accessory would mean so much, like red for bravery, white for peace, blue for the energy & sky, orange for hospitality, green for health and black representing people and their struggles. 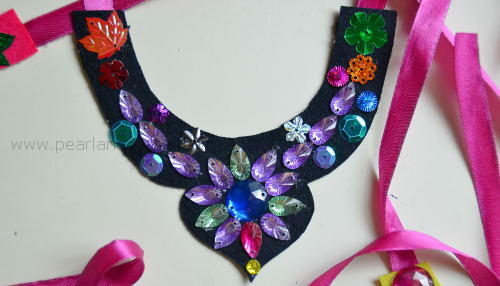 I came up with the idea of making bib necklaces for Akshara’s fashion themed birthday party. 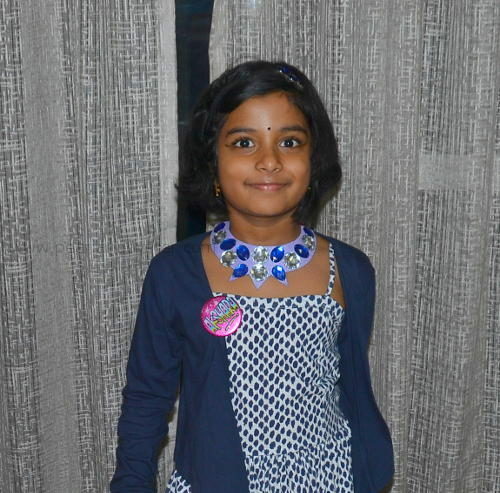 Well,I didn’t have organic beads, ivory or heavy metals to make them and hence i resorted to simple materials like felt and gemstones that the little girls would adore. I chose to create my own designs and the glue gun came in handy for the sticking part. 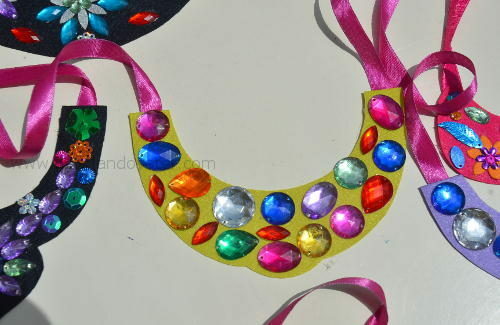 As a final touch, i tagged a piece of satin ribbon on the edges of the bib necklace so that it could embrace the pretty necks. Previous story A riot of colours !